Attic Masters has been offering services since 2010 and is committed to maintaining a competitive edge through superior customer service and unparalleled results. Rat droppings and urine carry dangerous diseases that can make humans extremely ill. Even if the rats have long since left, a proper attic decontamination is crucial to eradicating droppings. If you believe your home may have a rat infestation in its attic, cleaning it out as quickly as possible is highly recommended to prevent illnesses or other potential health risks to those living in your house. Replacing your ducts is necessary if the old duct work has become very worn and the seals are coming loose. If there is significant damage to the air ducts, new ducts will be needed. Cellulose insulation is commonly used in attics because it is an affordable solution for increasing the attic's r-value. The cellulose insulation offers better thermal resistance than fiberglass. Because cellulose is made from the natural cells of plants, it does not conduct heat; it absorbs it. Cellulose fibers are naturally resistant to moisture and will not crack in cold temperatures, which makes this type of insulation ideal for unheated attic spaces. The cellulose is made from recycled shredded paper and plant resin, making it an environmentally friendly way to insulate a home. 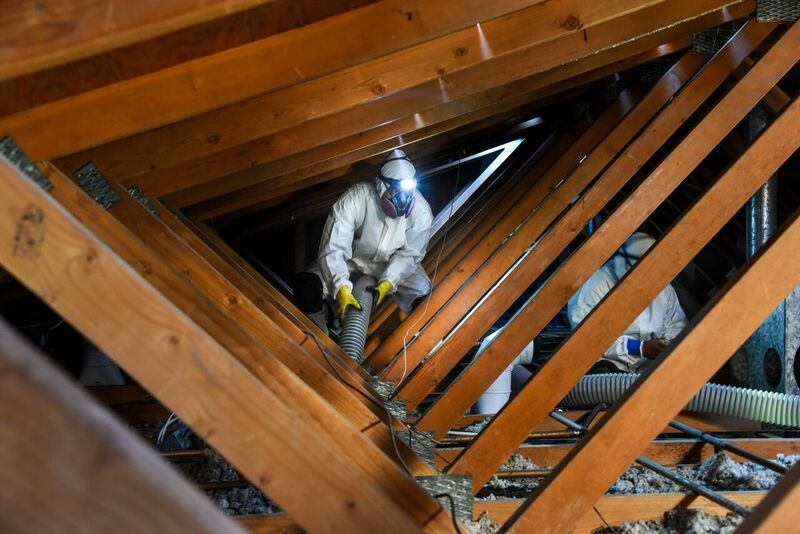 Cellulose is rodent-resistant, which is a benefit to homeowners in areas where squirrels, mice and other critters access the attics during the winter for warmth. The r-value of cellulose insulation is about 3.5 per inch of thickness. The efficiency of cellulose insulation makes it a top choice for use in a home's attic or walls. The r-value of cellulose insulation are higher than other commonly used materials for attic insulation. Cellulose insulation maintains its r-value even at extremely cold temperatures. Cellulose insulation is ideal for spraying into tight and difficult to reach areas. It is usually installed with the use of an insulation blowing machine. As a form of loose-fill insulation, it can be placed where other types of insulation such as rolls or batts cannot. To help reduce the risk or spread of fire, the cellulose fibers are treated with fire retardants before they are sprayed into the house. This adds to the protection and safety of the attic, especially if there are wires or electrical boxes underneath the area where the insulation is to be placed. A building's R-value refers to the capacity of the insulating material to resist the flow of heat. The higher that the number of the R-value is, the stronger the insulating performance of the material. In new construction projects, there is a minimum mandatory level of insulation that needs to be established in order to keep up with Title 24 insulation requires. This R-30 mandatory level applies when specific compliance methods are used for the project itself. For all other purposes, the R-30 minimum will be superseded by other requirements, which may call for either R-30 or R-38 standards, depending on the climate zone of the installation. In order to keep up with the mandatory Title 24 requirements, metal-framed ceiling and roofing constructions need to have a U-factor of 0.031 or less. For most roofing systems, if the insulation has not been penetrated by the framing, then the rigid insulation can actually pass compliance testing with an R-value that is less than R-30. This is only acceptable if the U-factor is not greater than 0.031. If the insulation is going to be established in existing buildings through the standard performance method of compliance, then the mandatory minimum will always be R-30. Otherwise, if a prescriptive method of compliance is used for the building's insulation, then it must be R-30 or R-38, depending on the local climate zone. Furthermore, if an already constructed rafter roof is altered with the performance method of compliance, then the insulation may have an R-value of R-19. In roofing systems, the insulation must be placed in immediate and direct connect with the rest of the infiltration barrier. In the vast majority of cases, the attic will be ventilated according to the drywall ceiling infiltration barrier, with the insulation lying directly above the ceiling. Care should always be taken to make sure that the ceiling's insulation extends as far as it can outside of the walls in order to cover the truss's bottom chord. Regardless of the installation, it is important for the insulation to not block the eave vents in the attic. If the flow of air is blocked in these locations, there may be moisture buildup, with water vapor condensing underneath the roof. This defeats the purpose of the Title 24 insulation compliance, while causing structural damage to the roof itself. When professionals follow the Title 24 requirements, they are guaranteeing that the building has a sufficient amount of insulation to be comfortable and energy efficient for residents. The role of baffles cannot be overlooked in a properly insulated attic. While insulation is needed to keep warm (or cold) air from escaping the living space, proper airflow is also required in the attic to prevent buildup of hot, damp air. Baffles ensure that air is directed properly through the attic vents without impeding insulation. Moisture is the enemy of every attic space. The better insulated the attic, the greater the potential for heat and humidity to be blocked by the insulation, leading to mold growth and rot. Extremely hot air from the attic can also cause damage to roof shingles. Baffles facilitate airflow and reduce heat buildup. Baffles also prevent the wind that blows through the soffit vents from dislodging insulation. Insulation that gets blown out of place becomes useless, so it is important to retain airflow while reducing wind. In cases where a heated attic is desired, the rafter bays will be insulated instead of the attic floor. Here, it is crucial that baffles be installed over the length of the rafter bay to prevent heat and moisture from building up under the roof sheathing. Using baffles also allows for insulation to be installed more efficiently. With baffles in place, insulation can be installed right up to the soffit vents and eaves with no added space. Baffles are first stapled to the roof decking, and then insulation batts or blown insulation can be placed up to the edge of the attic floor. While insulation is required to keep a home comfortable and efficient, proper airflow is also necessary to prevent mold and rot, as well as heat damage. Baffles ensure proper air circulation through the attic and should always be used with insulation. Radiant barriers are materials which are installed in houses so as to reduce heat gain during the summer. Radiant barriers are crucial when lowering cooling costs in most homes. The barrier is made up of substances that easily reflect heat but don't absorb it. The Title 24 compliance normally requires a radiant barrier with massive cooling loads especially in the climate zones. Radiant barriers have high reflectivity and low emissivity; they are more applicable in hot climates than in cool climates. Radiant barrier are made in various forms which includes laminated reflective roof sheathing, reflective chips and metal roof shingles. Both forms can be fixed over a loose insulation. Aluminum which is a reflective material is often applied to both or one side of the substrate material. Some radiant barriers don't provide maximum thermal insulation and are therefore mixed with various types of insulation substances to form a reflective insulation system. Radiant barrier facing materials in this combination will act as an insulator. 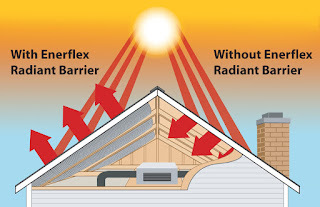 Radiant barrier works on the basis of conductivity, the roof of a house will get hot due to radiant energy from the Sun. This heat is then conducted via the roofing materials to the attic side; roof materials radiate heat energy into the cooler surfaces such as the attic floor and the air ducts. A radiant barrier will limit heat conductivity from the roof underside to other surfaces in the attic. Using a roof sheathing which is usually bonded with radiant barriers is a common method of installing a radiant wall. Afterwards, sheathing is then installed while making sure that the radiant wall faces downwards towards the attic side. During installation, gap of 3.5 inches should be left between the top of the ceiling and the bottom of the radiant barrier. This is essential to allow air circulation between the top surface of the barrier and roof decking. Radiant barriers are very crucial in the hot climates; they are cost effective and play an essential role in maximizing energy efficiency. You need to include this type of product in your housing design if your house is located in hot climate areas. Radiant barrier is important because it will always keep your house cool. No one wants to find rats living in the attic of their home because the animals carry life-threatening diseases such as hantavirus, rat-bite fever or bubonic plaque. A rat can carry fleas that transmit pathogens or spread germs with urine and feces. When rats infest an attic, the rodents defecate and urinate on every surface as the animals scurry from place to place. Rats gnaw on wood, electrical wiring and drywall, destroying the integrity of a building’s foundation along with creating a fire hazard. People living in a home may hear scurrying sounds through ceilings or walls as the rodents search for food. Rats breed quickly with large litters that also make messes in attics, leading to horrible odors or spots on ceilings. When entering an attic to inspect, make sure to wear a breathing mask, goggles and gloves to reduce the chances of contamination. Bring along a brightly lit flashlight to look for damage such as tooth marks on wooden beams or missing plastic coating on electrical wires. Inspect insulation for moisture or feces that indicate rats are living in the attic space. Rat nests are typically hidden in corners or under insulation to protect the young. Once an infestation of rats is found, it is important to seek assistance from an exterminator as quickly as possible. Using amateur methods to eliminate rats is not recommended because it is typically ineffective and often dangerous. Without the correct types of traps and chemicals, rats leave an attic and enter other areas of a home. In many cases, rats are already sneaking into other rooms to seek food, leaving waste on countertops, dishes and eating utensils. After the exterminator traps or poisons rats inside an attic, reducing the population, it is vital to prevent a new infestation. Particular species of rats are able to climb buildings to enter holes and crevices on roofs or near gutters to invade attics. All of these holes require plugging with material that is impossible for the rats to chew through to avoid an infestation. A rat may also enter chimney stacks or vents located on rooftops when the items are not covered or sealed. 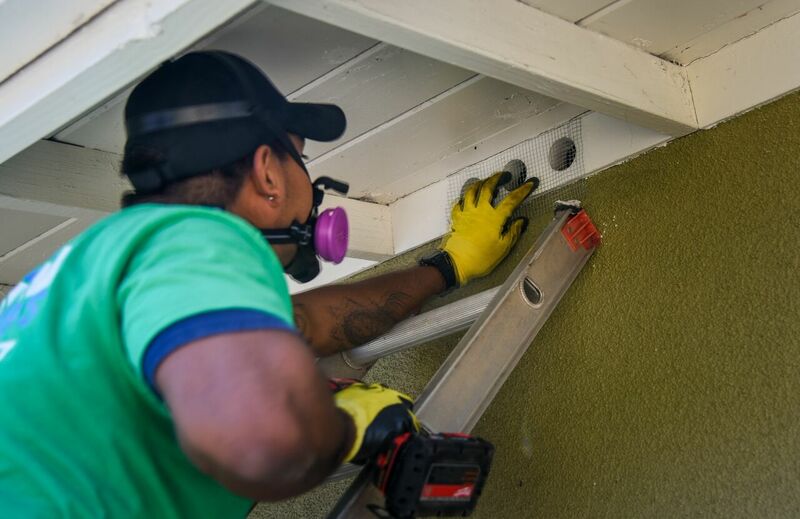 An exterminator can enter an attic or climb on a roof to offer suggestions such as trimming trees and shrubs located near a home. 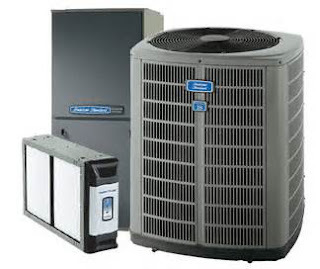 n typical new homes of California, split system air conditioners and furnace are common especially in the central valley and the desert areas. While this is the conventional means of cooling and heating, some areas make use of a heat pump prompting the elimination of the furnace. Areas within mountains and the coastal regions rarely utilize air conditioning; instead use the gas furnace as a means for heating. Heating and cooling is commonly circulated in each of the rooms via air ducts. A lot of the Title 24 compulsory measures rely on this type of heating and cooling system. Title 24 criteria employ methods of the typical system on a large scale but also work well with other systems such as the hydronic system. 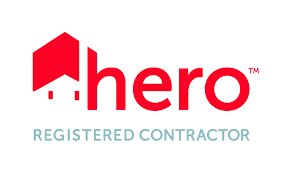 Hydronic system is different to ducted systems as it uses hot water that is circulated to provide heat in conditioned spaces in comparison to a ducted system that uses heated air. Title 24 standards are difficult to use with electric resistance systems that are widely employed in some areas as well. Ground-source heat thrust methods are used in areas with minimal or no gas service. Although Title 24 residential standards does not set restrictions as to the sizing of the heating equipment; it is recommended that heat loads be calculated when installing new heating systems. Large than usual equipment do not operate efficiently and can result in comfort problems because of excessive high airflow and cycling. For cooling devices, it is critical to avoid oversizing as efficiency degrades if the system cycles on and off recurrently. The performance of air distribution system profoundly affects the overall efficiency of HVAC system. Consequently, these air distribution systems face some mandatory measures as well as prescriptive requirements. Some of the necessary rules demand that air distribution ducts have seals, and HERS tested to determine leakages. This has to be done in all climate zones even if performance method of compliance is utilized. Compliance credits are offered on a variety of methods for duct system designs. The minimum allowed insulation on ducts is R-6 in many climate zones, with R-8 recommended for use in climatic zones 14 and 16. This is unless pipes have been entirely enclosed in conditioned space. Homes with automatic setback thermostats have both comfort and convenience, and it is highly energy efficient. Selective conditioning is crucial to saving energy consumption. It also qualifies for energy compliance credit that is given for zoned air-conditioning and heating systems. Houses with at least two zones, such as sleeping and living, can easily qualify for these credits. Energy conservation has become one of the hallmarks of our age, and everyone is looking for practical ways to keep their homes and family comfortable while saving money. One of the most important steps you can take to conserve energy use in your home is to insulate your attic to the proper extent. 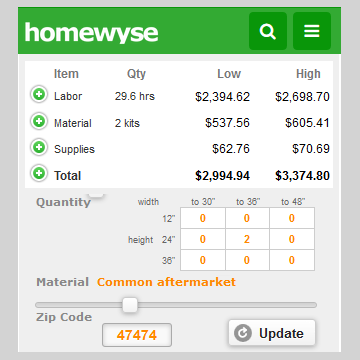 Home heating costs in winter can take a huge bite out of the family budget. A well-insulated attic helps to prevent heat loss through the roof and will allow you to lower your thermostat and use less energy. The hot rays of the sun can cause your attic to be as hot as an oven. Your efforts to keep your home’s interior cool and comfortable can be reduced by the constant warm air coming from your attic area. A suitable layer of insulation for your climate can help to hold the cooled air inside the home and prevent excess energy usage. In a home with a poorly insulated attic, family or guests may complain of cold spot or warm spots in different areas of the home. This can then cause homeowners to constantly adjust the thermostat, causing additional wear and tear on the HVAC system. Adequate insulation helps to reduce this variability in heating and cooling, providing a more comfortable environment for everyone in the interior. Insufficient attic insulation can cause uncomfortable drafts in the rooms below. Because of the way they are designed and constructed, some homes are particularly susceptible to drafts from attic areas. Residents of the home may find these drafty areas uncomfortable and unhealthy. The right amount of attic insulation can eliminate drafts, improve indoor air quality, and help to bring down energy costs. An appropriate level Saveof insulation in your attic can also help to absorb noise from outside the home. This feature can make your home interior more pleasant for everyone. Your insulated attic will allow you to save money on home heating during the cold, winter months and also save money during the summer months. Over the course of a year, these savings can add up to hundreds of dollars in energy costs. 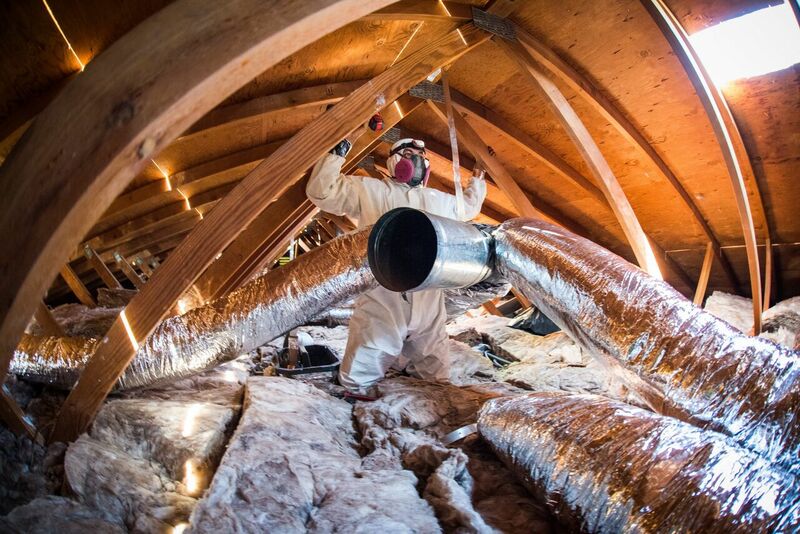 Many experts calculate that proper attic insulation can save 10 to 30 percent on your total energy bill.